Kane Miller Books, 9781610677226, 64pp. Have you ever wished there was a word for friends who are like family to you, or for the way you hesitate when you've forgotten someone's name? Did you know there was a special word for the distance a reindeer can travel before needing the bathroom? Or for when you search for something in the water using only your feet? 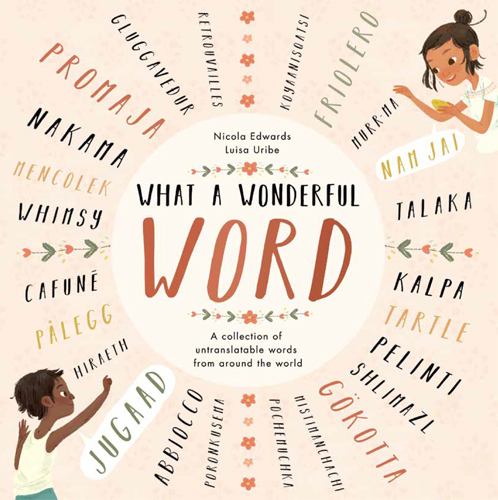 This hand-picked collection of untranslatable words from all over the world celebrates the magic of language, with gorgeous original art work and fascinating facts about each word and the culture it comes from.